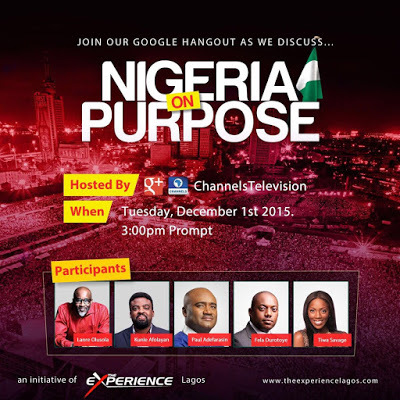 Join Tiwa Savage, Fela Durotoye, Kunle Afolayan, and Lanre Olusola with the Convener of The Experience Pastor Paul Adefarasin in a Google Hangout as they Talk about Nigeria On Purpose. 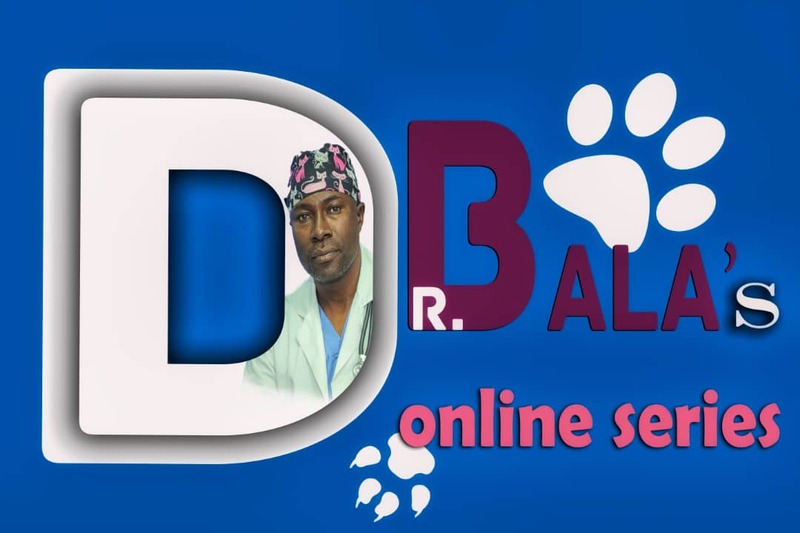 The date is Tuesday December 1st 2015 and the time is 3pm. The Experience Lagos Event has brought together people of all ethnicity, tribe and tongue from different Churches in Nigeria for the past 10 years. It's #NigeriaOnPurpose at #TheExperience10 . Join the conversation by following the House On The Rock G+ page to be part of the Audience that can interact on the Hangout .